Hello, I’m writing this blog with fond memories of our week spent in the heart of Devon during half term. This Raspberry Chocolate Pavlova was made, at the barn, with minimal equipment and only my memory for the recipe! I’d call that a challenge!! Raspberry Chocolate Pavlova made again at home. Physically it was a bit of a struggle for me, but that was more than compensated by the time we spent as a family. Hanging out together, all 5 of us on a trampoline ( trust me I wasn’t jumping !!!!) that I thought was going to collapse at any second. Taking turns to row around the pond. Discovering semi-wild farm cats and their kittens in the hay barn – sooo cute. Spending time with our Devon family’s, both in church and on the farm. Yet most of all being together Feasting and Having Fun!!!!! 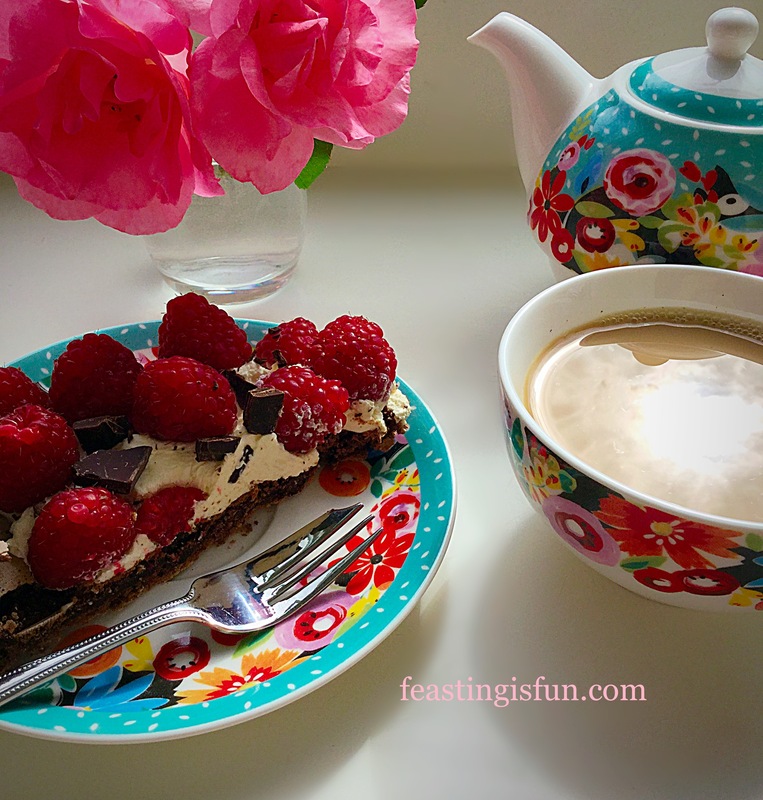 Raspberry Chocolate Pavlova perfect for dessert or afternoon tea. 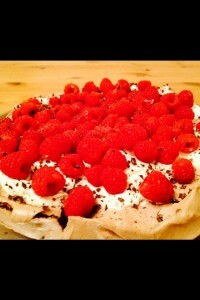 Firstly I have to give complete credit to Nigella for inspiring this scrumptious Raspberry Chocolate Pavlova. Whilst staying in our gorgeous Barn in the middle of nowhere Pip had invited us to share a meal with her and her wonderful hubby Sailor Man and their daughter Leggy Lou! Pip would be cooking Lasagne and I offered to do pudding!! We’ve been staying on the same farm, in the same barn at least 10 years. I was pretty confident, given the restricted equipment available in the barn, that I could ‘easily’ whip up a Raspberry Chocolate Pavlova!! This is one of those puds that not only has the WOW factor visually but tastes even better than it looks. So simple to do then? 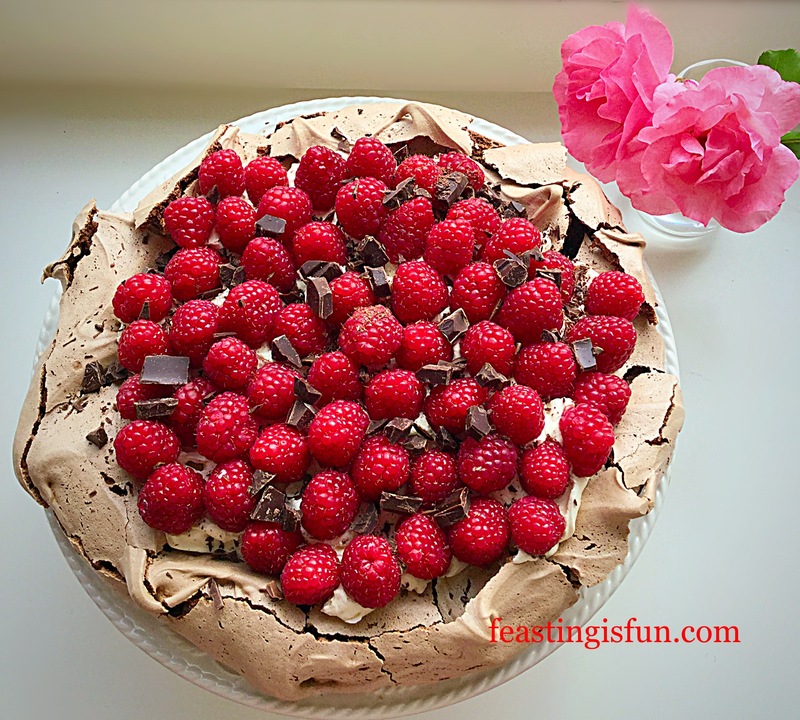 Raspberry Chocolate Pavlova a delicious combination of flavours. While out shopping I remembered ALL the ingredients (I may have made this a few dozen times before!). Although I couldn’t remember the quantities! Back at the farm, in a rare moment of actually being able to get a signal, I successfully popped onto Nigella’s website and got the recipe. Fortunately I had not forgotten anything – boy was I relieved!! You will need a good sized baking sheet that can take a 30cm diameter circle of meringue, lined with parchment paper. Method: Preheat the your oven to 200C/180C fan (350F, gas mark 4). Firstly if you have any kind of electric whisk PLEASE use it. You can see from the photo below that I did not have one and it was VERY HARD WORK!!! 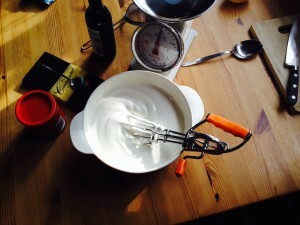 Oh yes – I whisked 6 egg whites using a rotary whisk!!! Gone are the bingo wings!!! Once the egg whites form stiff, satin peaks slowly add the caster sugar and keep whisking. Oh the joy, what was already a hard job became much more difficult as the sugar mixed into the whites. The mixture will become much thicker. Once all the sugar is fully incorporated whisk until the meringue mixture is glossy, satiny and holds a stiff peak! I’m not a big sifter? (I am a big sister!!!!! ), but cocoa really does need a god old sift to remove any lumps!! Using a metal spoon gently fold in the chocolate, cocoa and balsamic vinegar until the ingredients are fully combined. This was challenging for me, as you can see from the photos I’d used a straight sided, flat bottomed casserole dish as a mixing bowl! Still I’m nothing if not adaptable! When at home I draw round a 12″ (30cm) round cake tin, with pencil, on to parchment paper. On holiday I had to ‘guesstimate’! Flip the paper over, so that the pencil marking is on the underside. At this point, you can attach the parchment to the baking sheet with little dobs of meringue mixture. These act like glue and stop the paper moving around. Using the drawn circle as a guide, gently pile on the meringue mixture into the centre using a metal spoon. Use a palette knife (or butter knife if on hols!!!) 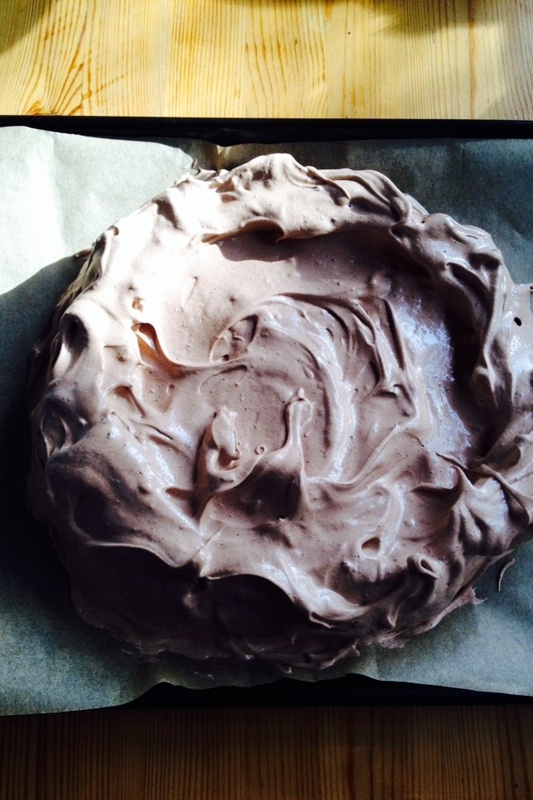 to gently spread the mixture into an even circle shape approx 30cm across. I’ve found it helps the cooked Pavlova not to crack if you build the sides up slightly so the centre is approx 1-2cm lower than the edge. It doesn’t matter if it does crack as later on you will be smothering it in whipped cream and raspberries! 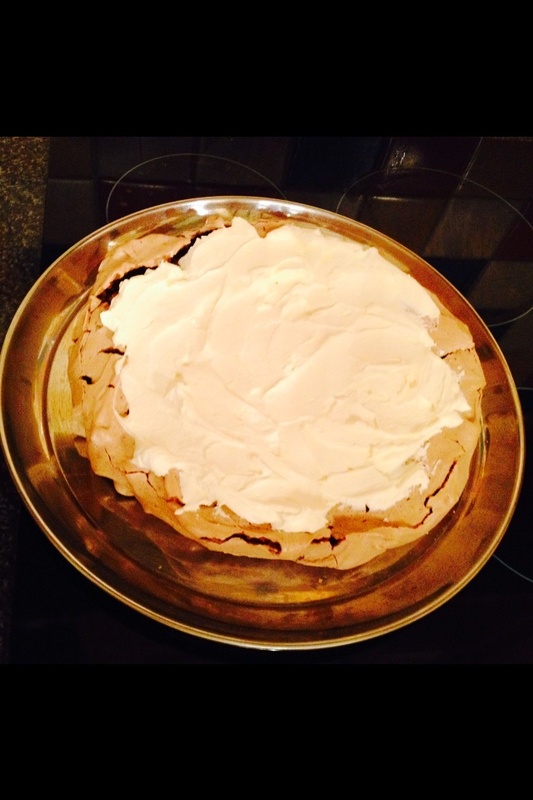 Using your knife smooth out the centre and create swirls around the outside of the Pavlova. Let your creative, fun side run free!! It’s soo much fun and you can swirl to your hearts content! Place the beautiful Pavlova on the middle shelf of the preheated oven (180C – 350F or gas mark 4), immediately turn the oven temperature down to 150C (300F gas mark 2) and bake for 1, 1/4 – 1, 1/2 hours. If you are confident about the eggs you have used, gather the children around the bowl and let them lick the bowl clean. Make sure you have a little taste too. It’s GORGEOUS. I think it tastes like the lightest chocolate mousse. You are eating raw egg so please do not taste if you are pregnant, unwell or elderly. Also I wouldn’t let my children taste it when they were very young. Our youngest is 12 now so he was allowed to try some! The Pavlova is cooked when the outside looks lovely and crisp and you can see the dark, fudgey inside through the natural small cracks in the surface. Turn the oven off and leave to cool completely in the oven. Once the Pavlova is completely cool remove from the oven and peel off the Parchment paper (I’ve never yet had one stick using Parchment, if you use greaseproof paper I can’t guarantee it will peel off as easily). 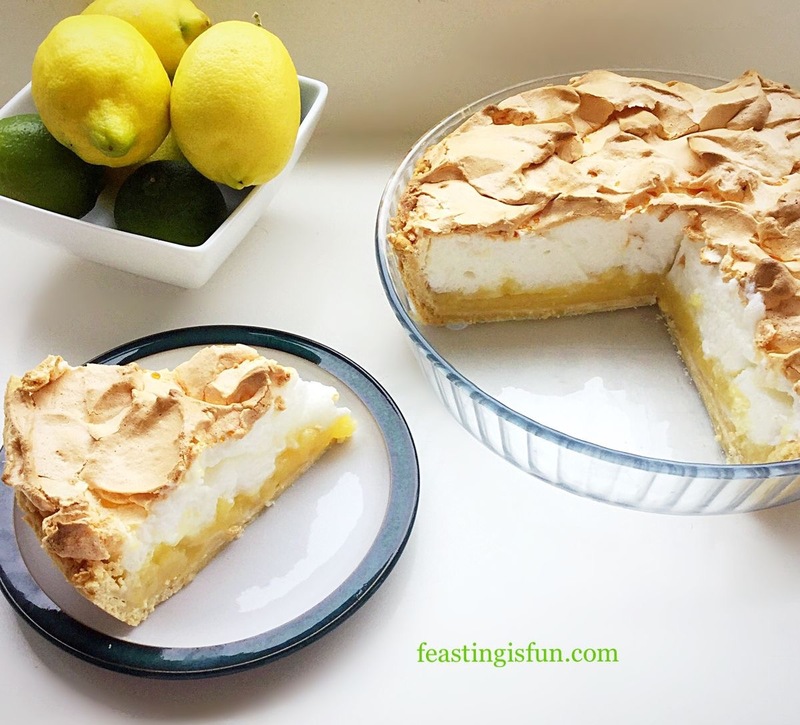 Place the Pavlova on a flat cake stand, cake board or metal tray if that’s all you have to hand!! Whip the cream until thickened but still floppy (adding a teaspoon of caster sugar if you prefer to sweeten the cream) and smother the top of the Pavlova with it leaving a cream free edge. Just waiting to be adorned. Tumble (or carefully place it’s your choice!) 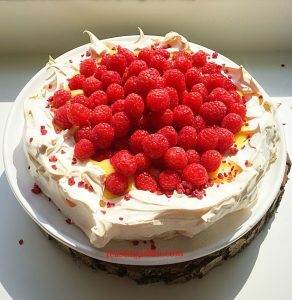 the raspberries over the cream topped Pavlova. 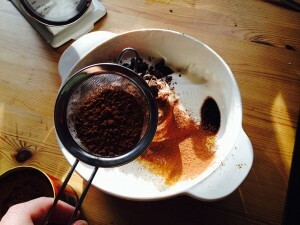 Now finally sprinkle over the remaining 25g (about a tablespoon) of finely chopped dark chocolate. 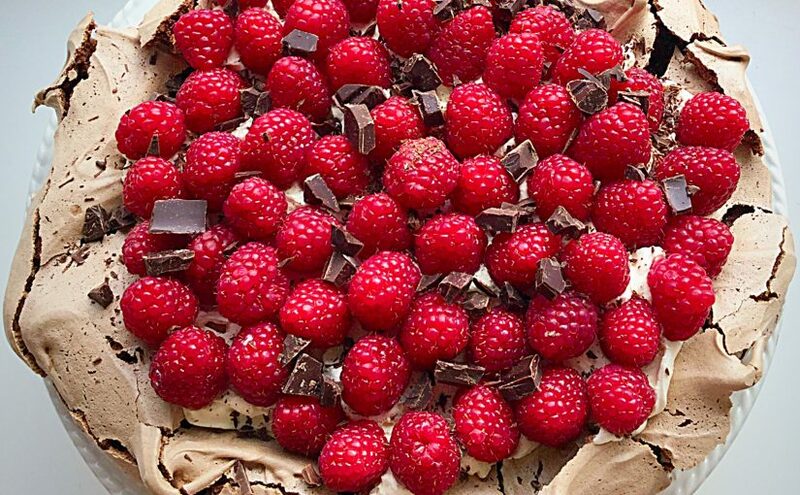 Soo beautiful,Raspberry Chocolate Pavlova. the proof of the pudding is in the eating!!! We shared this with our dinner hosts who were extremely complimentary about the combination of flavours, but mostly the hidden, almost brownie like middle of the Pavlova. 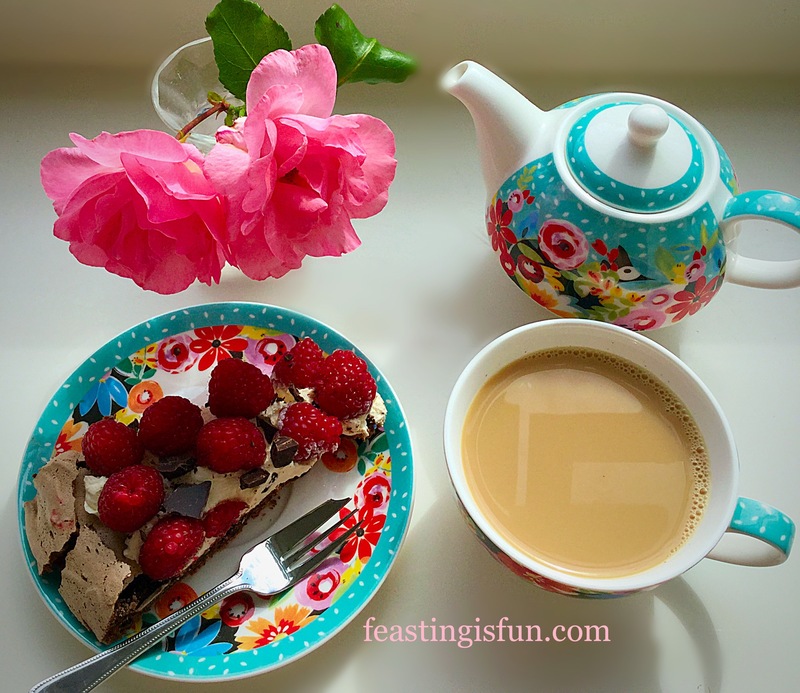 The contrast between the crunchy outer layer, the sublime tartness of raspberry enveloped in velvety whipped cream and then the surprise, almost fudgey centre with nubs of chocolate work to create a TASTE SENSATION! Thank you Nigella for inspiring this recipe. 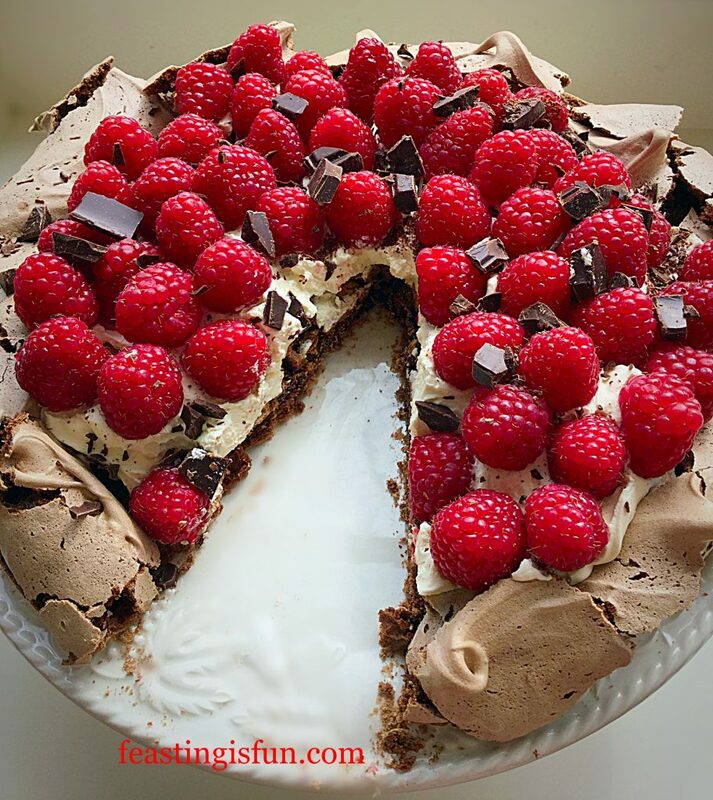 Raspberry Chocolate Pavlova the perfect sweet treat to take to take to someone’s house. Pavlova the perfect dessert for Sharing, Feasting and Having Fun!